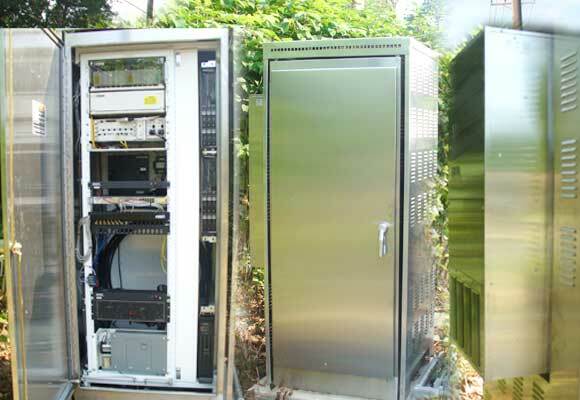 GL has designed climate controlled outdoor cabinets that house sophisticated electronic equipment, such as computers and servers consisting of microprocessors, fiber optic devices, Ethernet routers and switches, UPS units, and other semiconductor components. These electronic systems and components are very susceptible to high temperatures and high humidity. Overheating and condensation inside the cabinet would shorten their life expectancies and cause major failures. Hence, they require an environment controlled for heat and humidity for proper functioning. Fans may be used if ambient cooling air can be used and the system has a low static pressure. Blowers may be used if ambient cooling air can be used and the system has a higher static pressure. Heat exchangers may be used if the temperature inside a cabinet can be allowed to remain moderately higher than the ambient. Air conditioner may be used if the temperature inside a cabinet needs to be equal to or lower than the ambient. A heat exchanger consists of a fluid-filled ‘heat pipe' assembly while an air conditioner is typically a freon type. Heat exchanger units are only good for very minor cooling needs, for cabinets equipped with relatively small amount of heat dissipation, and in moderate climates. Even with minimal equipment installed inside a cabinet, a heat exchanger would not come close to cooling it adequately when outside temperature is in the 80s (°F). The heat exchangers do not provide sufficient cooling in a hostile environment even when combined with fans, blowers, sun-shields etc., and air conditioners provide a good alternative solution. Using the information gathered during the above study, along with our knowledge and experience, GL's engineers have designed and specified climate controlled outdoor cabinets. 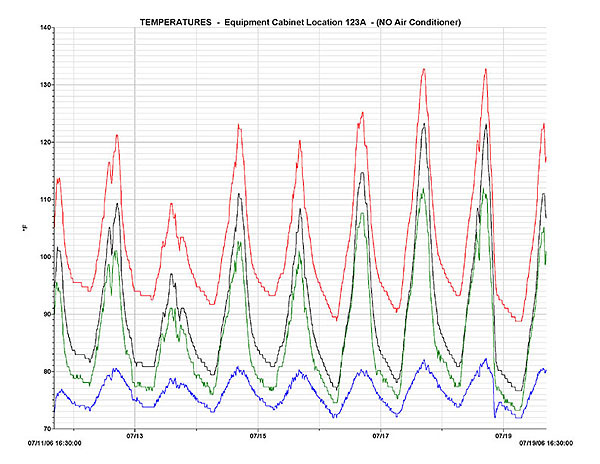 Figure 2 shows the temperatures inside a typical GL-designed climate controlled outdoor cabinet. 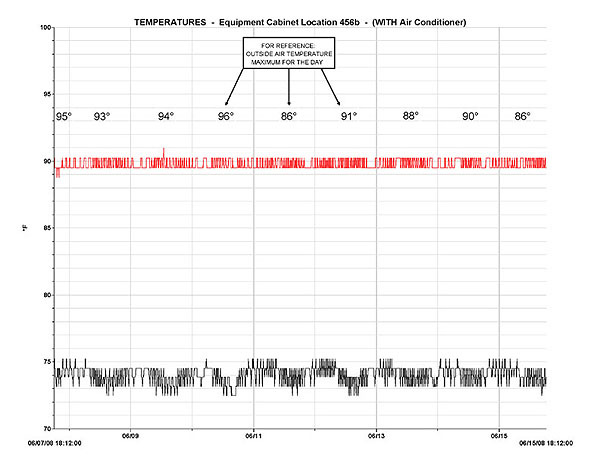 The graph shows that the air temperature near the top of the cabinet interior, shown in black, stays very close to 73°F, even when the outside temperature reaches 96°F. The temperature near the hot fan exhaust of a high power dissipation fiber optic communications chassis, shown in red, stays nearly constant close to 90°F, which is perfectly acceptable. GL's climate control solution has, thus, insured that our customers' communications links remain highly reliable even under adverse weather conditions.